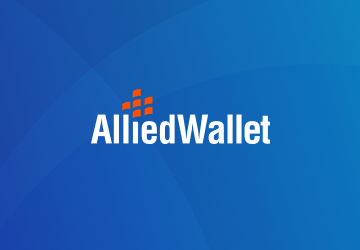 Los Angeles, CA: Allied Wallet, a leading international payment service provider and acquirer that processes payments globally in 196 countries including the United States, Europe and Asia (Japan, China, Hong Kong and Korea), announced today the appointment and addition of Sim Farar to the company’s Board of Directors. Sim Farar is currently the Chairman of the United States Advisory Commission on Public Diplomacy. The Commission reports to the President, Secretary of State, and Congress. Mr. Farar was appointed to this Commission by President Obama in 2010 and was re-appointed by the President with the approval of the United States Senate in December 2014. He is a managing member of JDF Investments Company LLC, specializing in corporate development and financing merger transactions. For over 30 years, Mr. Farar has been a key figure in Southern California, serving on the Board of Directors for several companies including IFC Financial Services, a financial service consulting firm from 1984 – 2010. Mr. Farar has been an advisor to companies and investors principally in connection with strategic capital, merger, and IPO transactions. From 1985 – 1999, he was Founder, President, and a Board Member of American Home Developers Inc., a contracting company acquired by ThermoView Industries, an American Stock Exchange listed company. From 2002 – 2005, Mr. Farar served as a commissioner overseeing the $12 billion Los Angeles Fire and Police Pension fund. In 2001, he was appointed to the Woodrow Wilson Council, the private sector advisory board of the Woodrow Wilson International Center for Scholars in Washington, DC. In 1999, he was appointed by President William Jefferson Clinton and confirmed by the U.S. Senate to serve as the United States Representative to the 54th General Assembly at the United Nations in New York City. In 1994, Mr. Farar also received a Presidential appointment to the Advisory Committee on the Arts of the John F. Kennedy Center for Performing Arts in Washington, DC. Mr. Farar has traveled extensively throughout the world on business, for diplomacy matters, and as well for leisure. He and his wife, Dr. Debra Farar, a member and formerly Chair of the Board of Trustees of the California State University System, have been married for 45 years and reside in Los Angeles, California. Mr. Farar’s extensive experience is sure to help guide Allied Wallet’s continued growth. Sim Farar will begin his tenure on Allied Wallet’s Board of Directors effective January 2018.